I celebrate the recent unified efforts of Hispanic churches from the Miami area with churches in the Kissimmee area! The impact of an estimated 300,000 individuals relocating from Puerto Rico to this part of Central Florida has huge implications for ministry. 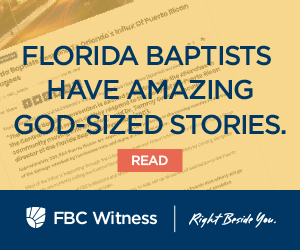 The commitment of the Florida Baptist Convention to be ‘Right Beside You’ fueled resources for the local churches to unite for a day of ‘Serving the Community’. I had the privilege to witness this incredible time of Gospel ministry. 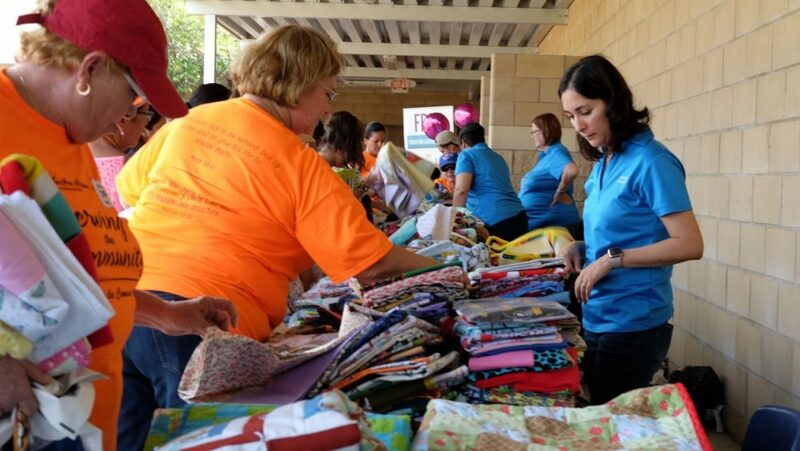 In an unprecedented way, 11 South Florida churches joined with 18 Central Florida churches to provide 100’s of volunteers to serve those who have come to this region of Florida. The eternal impact of this day of ministry has already been realized through 32 professions of faith, Gospel conversations, loving on others, and follow up through information garnered through this effort. This weekend provided a platform and open door for ministry that no man can shut. We are grateful to Gateway High School for providing the location for ‘Serving the Community’ and many partners who donated resources in this sacred effort. The beauty of this day of ministry is that specific ministries and intentional outreach will continue toward our new neighbors. The Disaster Relief Team of the Florida Baptist Convention provided meals that were served throughout the event and delivered to the locations where many of the individuals are currently residing. The churches served through prayer, worship, encouragement, and activities for children. This collaborative effort is not the end of this type of unified ministry. The churches in Central Florida are planning a reciprocal type of ministry day in South Florida. It is beautiful to witness the Body of Christ serving with a Kingdom heart without regard to acknowledgment and recognition. I urge you to continue to pray for churches across Central Florida who are ministering to the multitudes who have relocated into their cities and communities. I am thankful for local churches uniting in this massive effort to reach people with the Gospel of Jesus Christ. This example of faithful service reminds us that we are always better together! Thank you, on behalf of Florida Baptists, for continuing this important ministry to our new friends!